Great area. Easy walk to harbor and restaurants ! Amazing view from the 5 th floor!! Excellent location. Beautiful large rooms with outstanding verandah and view. Lovely super helpful staff. Location. Fantastic value for a family. Fantastic view. It was very accommodating for our group of 5. Very nicely done. Nice staff. Great coffee & foodie place (Muddies Cafe) on the beach across the street. Although we had a car for long trips out, walking to town was easy and enjoyable. Sunrise from 6th floor is a must. We loved the 3 bedroom swim out apartment. Would definitely recommend and stay again if ever in Cairns. Excellent location, clean, friendly staff, walking distance to town and management went above and beyond. All facilities you could ever need and daily servicing was a added bonus. Under cover car space with lift facilities. Pool with swim out deck was amazing and kids absolutely loved it. Lovely building and complete kitchen. Excellent location. Wonderful front desk help. Absolutely would return here the next time I am in Cairns. Great location on th Esplanade, within easy walk of everything in central Cairns. The balcony was extra large wth a nice table for outdoor dining and magnificent ocean views. Two beautiful swimming pools and lots of space in our apartment. The AC worked very well in the Cairns hot tropical climate. Craig and Tania were wonderful hosts who keep the property spotless. Very comfortable apartments with great views of the ocean and coastline. Location was excellent. Management was very helpful with arranging tours and taxi services. 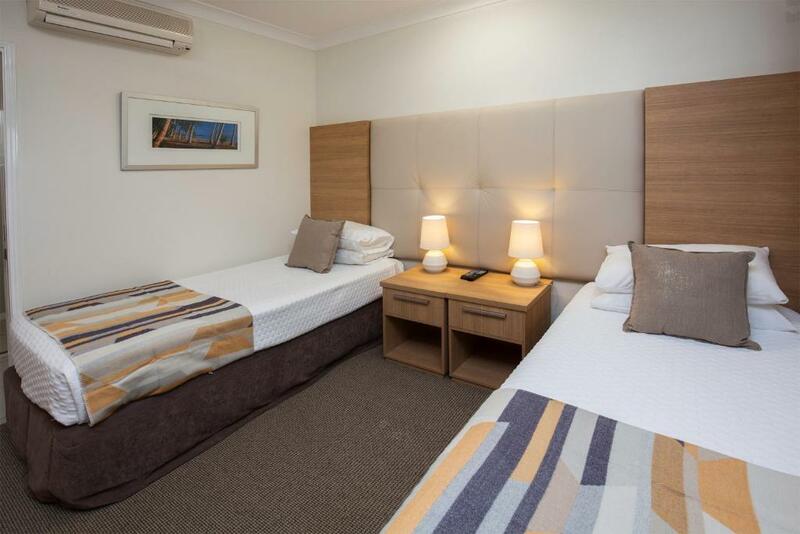 Lock in a great price for Waters Edge Apartment Cairns – rated 9.3 by recent guests! 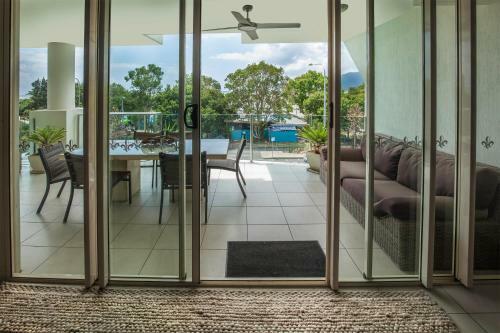 Waters Edge Apartment Cairns This rating is a reflection of how the property compares to the industry standard when it comes to price, facilities and services available. It's based on a self-evaluation by the property. Use this rating to help choose your stay! One of our top picks in Cairns.Waters Edge Apartments offer luxury, spacious, self-catering accommodations on the seafront of Cairns, a vibrant, tropical city with a relaxed atmosphere and easy access to the Great Barrier Reef. A fully equipped kitchen with granite and stainless steel fittings allows you to prepare your own meals. You can enjoy them on your large balcony with either esplanade or sea views, or on your private pool terrace. Alternatively, you can stroll down the Esplanade Boardwalk and try one of the restaurants specializing in seafood and authentic Australian cuisine. From here you can get to the Great Barrier Reef in less than 1 hour by boat or explore the World Heritage Daintree Rainforest. 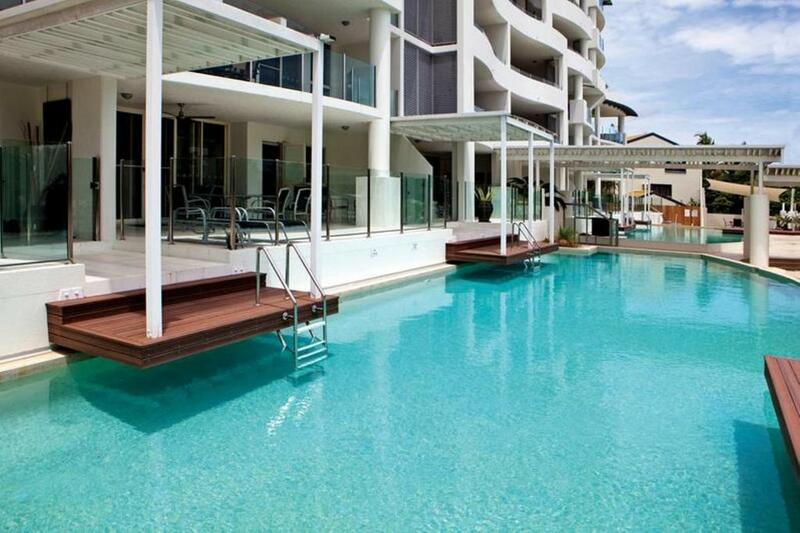 When would you like to stay at Waters Edge Apartment Cairns? This spacious apartment has a unique swim-out deck providing direct pool access. 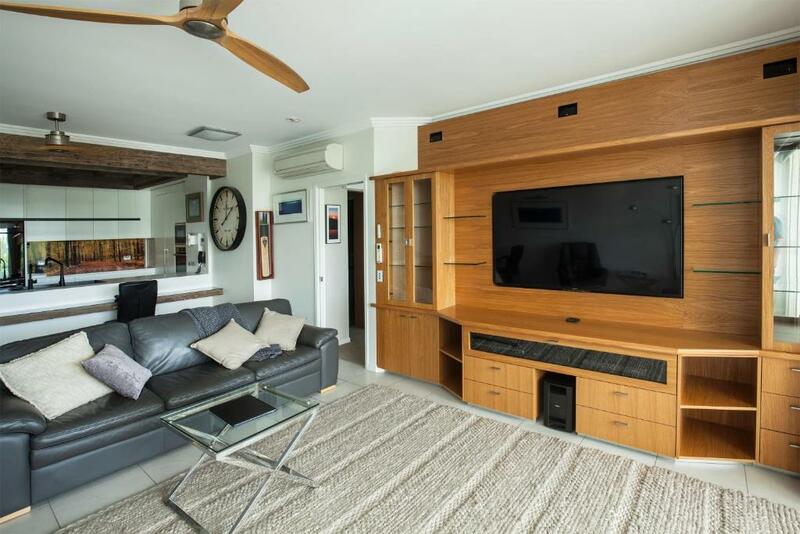 It has a fully equipped kitchen, a dining area and a lounge room with flat-screen cable TV, a DVD and CD player. It has 2 bathrooms, one with a relaxing spa bath. This apartment has a large balcony with ocean or esplanade views. 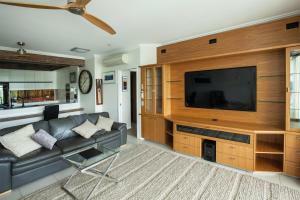 It has a fully equipped kitchen, a dining area and a lounge room with flat-screen cable TV, a DVD and CD player. It has 2 bathrooms, one with a relaxing spa bath. Please note esplanade or sea views are available on request. Please use the special request box when booking or contact the property using the contact details found on the booking confirmation. 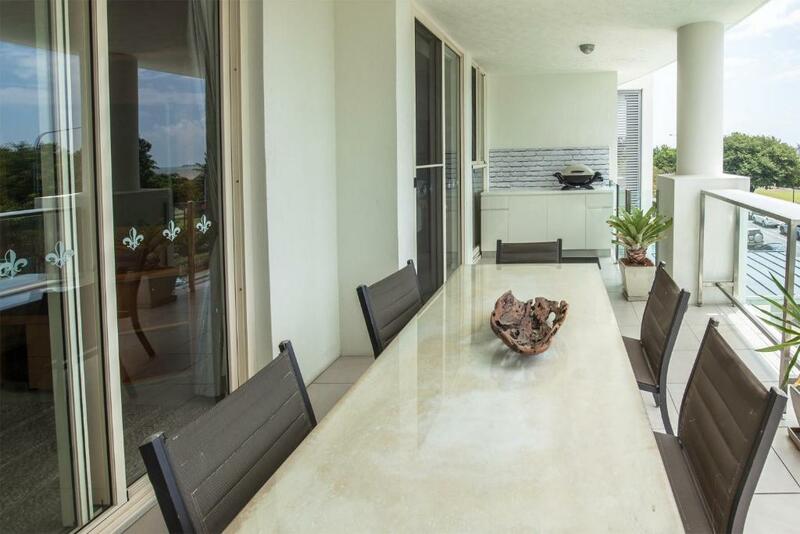 This apartment has a large balcony with ocean or esplanade views. It has a fully equipped kitchen, a dining area and a lounge room with flat-screen cable TV, a DVD and CD player. The bathroom has a relaxing spa bath. Please note the price is based on 2 guests. There is no capacity for additional guests. We are located on the northern end of the fabulous Cairns Esplanade. We are a short stroll from the restaurants and shops but far enough away to avoid the crowds and noise. We are a small family owned business that prides itself on a more relaxed, personnel approach to our guests. Testament to that approach is the high number of repeat guests we enjoy welcoming back to stay with us. Managers, Craig and Tania are happy to share their local knowledge and experience to make certain your stay at Watersedge is enjoyable. Craig and Tania provide a personalised service catering to your individual requirements and will do everything to ensure your holiday is relaxing and memorable. House Rules Waters Edge Apartment Cairns takes special requests – add in the next step! All children under 2 years are charged AUD 5 per night in a crib. Waters Edge Apartment Cairns accepts these cards and reserves the right to temporarily hold an amount prior to arrival. 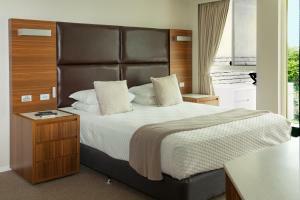 Please note esplanade or sea views are available on request for all room types. Please use the special request box when booking or contact the property using the contact details found on the booking confirmation. Please note that the Waters Edge reception desk is located at 144 Abbott Street. If you expect to arrive outside reception opening hours, please inform the hotel in advance, using the contact details found on the booking confirmation. A night telephone is located at the reception entrance to accommodate early or late arrivals. Great location and facilities. Well furnished and equipped. Loved the swim up pool and spa. Could not fault this amazing place. As a base to explore from within easy reach of all tours , harbour and town. If you just want to chill perfect with cooling fans in and outside of property and pool. Our balcony fan was not working when we arrived replaced with brand new unit within a day. Staff very friendly, there if needed or in the background when not. If you go to Cairns and want self catering and comfort this is the place. 1.The television had few available channels. 2. Unable to operate dishwasher.